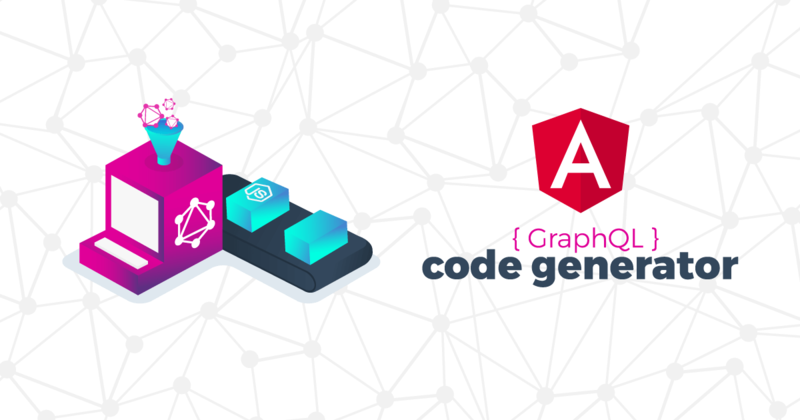 In this article, I will give a short introduction to GraphQL and then we shall look at at Apollo Angular and the GraphQL code generator. We will combine the flexibility of Graphql with the safety of strongly typed TypeScript code that is consistent between server and client. via the OpenAPI description format (known as Swagger). We generated a REST api client for Angular with the help of swagger-codegen / openapi-generator. But there are drawbacks to REST - and GraphQL can address some of them. Depending on the use-case, I favour a different approach to read and change in my Angular application. Let's see what GraphQL is all about and then we should look at my preferred toolset. One fundamental problem of a classical REST api is the amount of received data. Sometimes we fetch too much data, so there is data in the response we don't use. Or we have the opposite, we do not have enough data with one call, which forces us to call a second resource for more. This is called "over-fetching" and "under-fetching". In a perfect world, we would have exactly the right resources to serve the right data to our apps. In a complex scenario this will lead to a huge and unmaintainable API. We would have to offer our data in various shapes via different endpoints. All right, a lot of books. Let's assume we are not interested in the thumbnail or the subtitle. But we want to have the authors — but only their names! That's tricky! How do we adjust this? Actually, we haven't implemented such a feature in our RESTful API. There isn't a way to do this. For your convenience, just click this link to place your first GraphQL query. Go ahead! Play with the API and also request a description and a rating. That's neat, isn't it? Up until now, we have been using a shorthand syntax where we omit both the query keyword and the query name. We shouldn't do this in a real-life app. On the one hand it is generally bad practice make the code ambiguous. On the other hand we will also get in concrete tooling-trouble later on, because without a name it is hard to generate a type for that anonymous query (see #372). This is all we need to know to start with GraphQL. You can learn more about the query language in the official documentation. GraphQL has become very popular in recent times and there are a lot of implementations for various programming languages and frameworks. In the Angular world, the Apollo library is quite popular. The documentation is well done, so we can keep the installation instructions short. To get started with Apollo Angular, we first want to install the required packages from npm (multiple installs, for better readability). apollo-angular-link-http provides a network layer (Apollo Link). It can be replaced with other link modules (e.g. GraphQL over WebSocket, read more in this article). Here we configure the application-wide HTTP thingies like the URL to the endpoint. apollo-client is the underlying GraphQL client. We are going to use the integration for Angular but there are also different integration layers for React, Vue.js and more. apollo-cache-inmemory is the recommended cache implementation for Apollo Client. graphql-tag contains a parser to convert human-written GraphQL query strings into the standard GraphQL AST. We will use it for the gql tags later on. Quite a lot of packages, but you see the usage of any twice. It's time to add three Modules to our application. We need HttpClientModule (as always), HttpLinkModule (our API speaks simple HTTP) and the ApolloModule itself. The necessary configuration can be done at the constructor of the AppModule, too. You get your Observable via querRef.valueChanges. But keep in mind that you have to properly unsubscribe here. Works like a charm, but you see two times the usage of any. This is bad❗️ Obviously there are no TypeScript types out of the box. We would have to define them on our own. This is manual work where humans can make errors and where we can get out of sync with the model on the server very easily! So we should generate the types by "robots" instead of with the help of the aforementioned GraphQL schema. Of course, other people have already done the hard work for us. The generated code (TypeScript interfaces) is more readable and organised (grouped via namespaces). There is some flexible support for custom templates (with Handlebars) - This is a killer feature compared to "Apollo GraphQL code generator". You can simply create your template and then compile it with your GraphQL schema and GraphQL operations and get a more customised result. If you are used to swagger-codegen, then you will experience a lot of similarities. And this is clearly the case. The author wrote the code generator based on his experience with other robust code generators. I'm going to repeat myself, but the most important point behind a solid code generator is the ability to change and extend the results. I was really wondering that his wasn't implemented for apollo-codegen. Read more about the story behind it at medium. In our case we can skip the dependency graphql, we already installed it together with Apollo. I added the installation of graphql in a separate line of code, since it is a "devDependency" like graphql-code-generator. But it also has to be a dependency for graphql-tag (read above). Anyway, both options will work. npx gql-gen --schema https://api.angular.schule/graphql --template graphql-codegen-typescript-template --out ./src/app/graphql-types.ts "./src/**/*.ts"
"graphql-codegen": "gql-gen --schema https://api.angular.schule/graphql --template graphql-codegen-typescript-template --out ./src/app/graphql-types.ts \"./src/**/*.ts\""
This is a full book, as described by the schema! Looking at the query, we are only interested in some of the properties and this interface is offering too much. Properties like subtitle are never delivered from the server and will evaluate to undefined. The namespace BookList contains everything to rewrite the Apollo query with strong types. We finally have the perfect output for our Apollo client! 🎉 Congratulations! We have mastered another journey for automatically generated api code. We first learned the basics of GraphQL, got an introduction the Apollo GraphQL and we finally used GraphQL code generator to put everything together. Your project will benefit from less errors and more productivity. Let robots generate types for you and concentrate on more exciting work. But the possibilities do not end here. Next time we could generate also the service layer via the codegen. Just retweet this article if you are interested in this topic! I would like to thank Dotan Simha for his support while preparing the demo and the article.